Did it make you an happier person? That's a yes for me! Hi humans havent seen you all in a while. You’re awesome! Bye! SheepDoesn'tPlayMC and Elenahh like this. Cubecraft I think that 14 year old me owes a thanks for all the good times in 2016. I never really made an official goodbye. I dont care to. Joseph is the best Jojo,followed by Giorno. Dylaila, Ruisdier, Shamel and 1 other person like this. how many of you actually still play and howmany just come here to say hi to old friends every now and then? "I'm just an average high school student"
HEY DID YOU JUST INSULT ME!? I’m savanna by the way. It was either desert or savannah. Remove Taiga from the game please, I hate it. Dutudy and Fliqa like this. Falliam and Land like this. You have to understand why the EULA was originally put in place, they didn't have too much of a problem with the pay to win aspect, as it wasnt official servers, but the amount of abuse going into with with $5000 dollar ranks and things was getting out of hand. On Bedrock the only servers are partners so they can easily allow some of these aspects again but not have to worry because they can trust these servers. LanceDaniels and HackersDontWin like this. 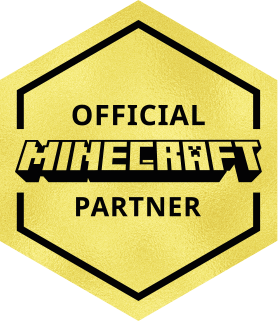 @StorySays there are Bedrock servers like Cookie-Build and Pigraid that are not Minecraft partners, but I do agree that Minecraft can naturally trust those who are partners.